Based on the film series, The Purge revolves around a 12-hour period when all crime, including murder, is legal. Set in an altered America ruled by a totalitarian political party, the series follows several seemingly unrelated characters living in a small city. As the clock winds down, each character is forced to reckon with their past as they discover how far they will go to survive the night. 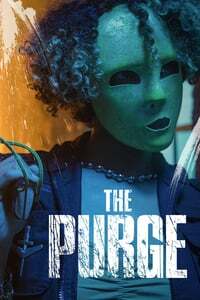 The Purge is about the American dream gone awry, and there's something fitting about having that dream be not just evil and awful, but half-assed.